The Z Beat: The Chronic Cardio Debate: Yea or Nay? The Chronic Cardio Debate: Yea or Nay? Ok, so it would be a dumb question to ask if you think cardio is good for you on a blog about dance fitness. I'm just not gonna do that. But I did read an interesting article the other day that asked a very specific question: is (chronic) cardio making you fat? Aerobic-style cardio is most effective if you are overweight and new to exercise. But, eventually, the body adapts and uses energy and oxygen more efficiently, making it less effective for fat loss. Too much cardio can lead to increased hunger, and we all know what happens if you overeat. Cardio can be at odds with your toning goals, as it can interfere with muscle building. Interval training and high intensity workouts are more likely to produce fat loss, in less time. Endurance training (think: marathoning) can be plain old tough on the body, and people like Mark Sisson argue that health and fitness should make sense in terms of human biology and how our bodies are designed to function for survival. This is a little extreme... but it does make you think! 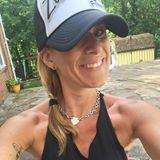 In my own experience, I feel my fittest when I balance cardio (running, kickboxing, and dance) with weight lifting and toning work. When I was training for a half marathon and didn't have time for much else, I felt my cardiovascular health improve but my muscle definition wasn't what it had been. So, if Erica’s thoughts about the downside of cardio have you questioning your fitness routine - do you give up our beloved dance fitness classes? Right after reading Erica’s article, I read about new research on the mental health benefits of – wait for it – salsa dancing! According to one recent study, people who had been diagnosed with depression all showed signs of improvement after 8 weeks of salsa classes. Cardio is an important part of one’s fitness routine. Everyone should find their own balance. In other words, do enough cardio to get the fitness benefits without overdoing it to the point of injury or uncontrollable / unnecessary refueling after working out. Find cardio that you love, and that will bring you both physical and social/emotional benefits. The right exercise will keep you coming back for more! Be sure to leave time in your routine for toning exercises. This may mean trading dance fitness, running etc. once in a while to fit both kinds of workouts into your schedule. What do you think? 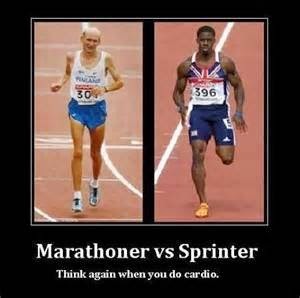 Is cardio "enough"? 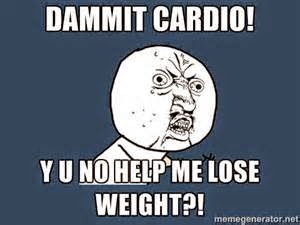 Can too much cardio be a bad thing? I've read a few articles like this lately and actually commented on it in a recent post. I don't think most distance runners are running for weight loss, I think it's just a passion. I couldn't imagine my life without running. But I do agree you need to add other workouts in the mix to be well rounded and prevent injury. Doing the same thing day after day can lead to overuse injuries and muscle imbalance. But I'll never stop running as long as I'm able! I think you should try Corebar! It's the perfect combination of all those things you were talking about, high-intensity interval cardio training with strength and toning exercises. It also incorporates flexibility, mobility and balance too! Let me know if you want to hear more about it or go to thecorebar.com. I think it depends on where you are in your fitness journey. Also, what you eat and when is an important part of weight loss. For myself, I love the benefits of Zumba because of the flexibility of dance. You can chose what to dance to, how hard to work out while dancing. Then the great feeling you get as a reward. It is also a social activity. I also work with a personal trainer a few times a month. We are currently working on upper body strength, toning my arms and working on my core. Last year we worked on running and proper form for walking fast! Changing your workouts, finding outdoor activities that keep you moving that you enjoy are all important to keep your body losing weight. I've always relied really heavily on cardio, but now I'm about mixing it all up and I'm hoping to see the results on the scale. I'm doing some HIIT today, so wish me luck!